A polished bangle made from 3mm round silver. The bangle is hallmarked by the London Assay Office and includes my sponsors mark. It weighs approximately 14g. 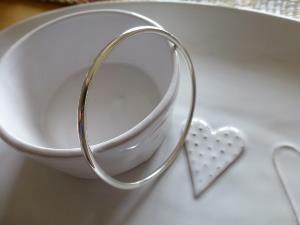 A similar textured bangle is also available.